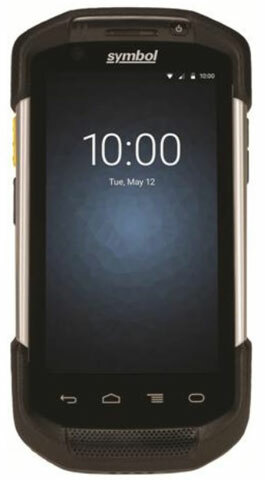 Honeywell offers the first in a series of next-generation mobile workforce solutions – the Dolphin 75e mobile computer, a sleek, intuitive, reliable and easy-to-use hand-held device that gives enterprises the flexibility to choose either the Windows Embedded 8.1 Handheld or Android 4.4 KitKat platforms. With a deep knowledge of discreet enterprise systems, Honeywell designed the Dolphin 75e to improve workflow performance and increase efficiency for companies around the globe. Honeywell’s Dolphin 75e is powered by the leading-edge Qualcomm Snapdragon 805 processor, a 2.26-GHz quad-core processor with 2 GB of RAM, 16 GB of FLASH, 802.11 a/b/g/n/ac and capacitive touch with universal glove usage capabilities. The device offers a variety of input and output modes for operations needing to deploy multiple applications easily to increase productivity. The Dolphin 75e device offers a superior user experience with a field-proven, pocket-sized design and easy-to-use interface that encourages fast and easy adoption with minimal training resources. Equipped with state-of-the-art battery technology and a durable IP67-rated design, the Dolphin 75e computer powers through a full shift and beyond. Zebra is pleased to announce the launch of the first All-touch terminal emulation, by Wavelink, for Zebra Android mobile devices. All-touch terminal emulation is another step in enhancing the productivity of associates using Zebra mobile computers. The all-touch terminal emulation client is the most comprehensive solution for accessing, managing and maintaining connections to applications resident on host systems. Shifting to a modern, more productive and consistent user experience, and optimized for “touch” mobile computers, this proven solution captures and aggregates mission-critical data, providing flexibility and value for enterprises throughout the supply chain and across industries. The Datalogic Magellan 9400i scanner is the newest member of the highly successful Magellan family. Along with the Magellan 8400 and the Magellan 9800i it provides the most complete offering of retail checkout in-counter scanners aimed at retailers with very high volume checkouts. The Magellan 9400i family offers multiple configurations including scanners and integrated scanner scales. All models also include the option of having a customer facing reader for interaction with shoppers’ smart phones by scanning digital coupons, loyalty cards, and other phone-based bar codes. The Magellan 9400i scanner features 1D and 2D label decoding in each plane allowing cashiers to scan products without specific orientation in a more traditional form factor. Designed as a direct drop-in replacement for existing laser-based scanners, the Magellan 9400i family of scanners and scanner scales provide customers an easy, economical step into the world of digital imaging with the performance necessary for the most demanding high volume retail environments, the dependability of imaging technology and many of the advanced options and features of the higher end Magellan 9800i including ScaleSentry Shrink Monitoring/Prevention System and imaging watermark decoding. Janam has announced the launch of its XG3 rugged mobile computer. Designed to excel in the most challenging environments, the XG3 is Janam’s next-generation, gun-shaped rugged mobile computer. Eliminating the weight and bulk associated with competitive devices, it is the lightest industrial-grade device in its class. With its sleek design and superior performance, the XG3 is built to increase productivity, streamline operations and improve the bottom line. The XG3 survives multiple six-foot drops to concrete on all sides across a full spectrum of temperatures and is sealed to IP65 standards for use in wet and dirty environments. It also delivers industry-leading battery life with a standard 5200mAh hot-swappable Li-ion battery ensuring uninterrupted operation throughout the workday. Other winning features include a 3.5-inch color display with hardened glass, ARM Cortex-A8 CPU @1GHz and choice of keypads to provide the performance, power efficiency and flexibility that enterprise and government customers require. Honeywell has joined with Microsoft to deliver the Windows Embedded 8.1 Handheld platform to Honeywell’s latest mobile solution, the Dolphin 75e mobile computer. By taking advantage of this latest operating system, enterprise companies in manufacturing, retail, and transport and logistics can enhance security, improve the user experience and streamline mobile device management. Together, Honeywell and Microsoft will provide hands-on training and development assistance for the new Dolphin 75e device, equipped with the Windows Embedded 8.1 operating system equipped with the ability to upgrade to Windows 10 in the future, at a series of global road shows throughout 2015, kicking off in May 2015 in Dallas. Other demonstrations will be in Atlanta, Chicago, London, Los Angeles, Mexico City, Montreal, Munich, New York City, Paris, São Paulo and Toronto. 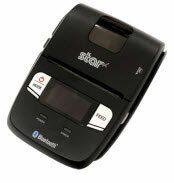 Is your aging thermal printer holding up the productivity of your operations? Even without noticeable downtime or breaks, an older printer could be the hold up to improving day-to-day efficiency with slower print speeds and minimal printer intelligence.